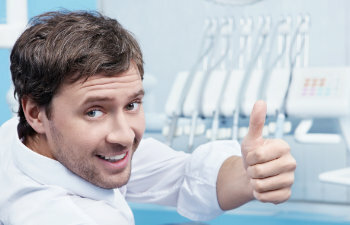 When it comes to visiting the dentist, do you go prepared with an excuse for not flossing? Hearing your dentist ask, “Have you been flossing?”, is often a dreaded question for many dental patients. However, what your dentist really wants you to understand is how important flossing is for your entire health. In fact, flossing is actually more important than brushing – which is why you should be flossing every single day! Of course, brushing has its importance: it loosens plaque from the surfaces of your teeth and freshens your breath, but flossing goes beyond the surface and gives your teeth and gum line a thorough cleaning. Flossing removes the buildup of plaque that occurs every single day. Plaque is made up of millions of bacteria that congregate around the particles left behind inside your mouth after eating. If you are not flossing, you are simply allowing bacteria to grow inside your mouth and pose serious threats to your oral and overall health. The most important thing to know about your oral health is that it has a direct correlation to the health of your entire body. An infection inside your mouth can easily travel to the rest of the body. Your gums are living tissues that are directly connected to your blood supply. The same blood stream that travels to and from your heart, kidneys, brain, and all other organs travels straight to your gum tissues. It is essential that you maintain healthy oral hygiene habits such as regular dental visits, brushing at least twice a day, and flossing every single day to ensure that your mouth is healthy. The health of your mouth is a true indicator of the health of your entire body. At Gold Hill Dentistry, we want our patients to understand that flossing is essential to your complete health. We care about more than just your oral health – we care about you as a person. If you need a course on how to properly floss, we are more than happy to help you learn the proper techniques. Flossing should not be uncomfortable. If it is, it is only because your gums are not as healthy as they should be. Our friendly staff is here to help you achieve and maintain the healthiest and most beautiful smile possible. Call our practice today to schedule an appointment.